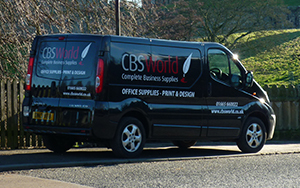 Complete Business Supplies is a family run business located in the beautiful Northumberland town of Alnwick. Established in 2008, we supply a range of over 20,000 quality stationery products at very competitive prices. Our efficient delivery service can deliver these items nationwide on a next day basis, with same day delivery available on popular items to the local area. 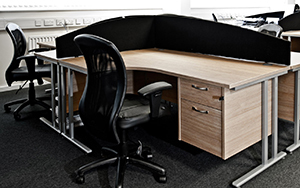 Whether you require a single desk or a full office refit Complete Business Supplies can supply it and install it. Why not ask about our bespoke design service and benefit from our expertise in office interiors. Our print and design department can manage all of your printed stationery requirements; in our professional care your brand is safe in our hands. Same day delivery available on some items in our local area you will find it hard to find an office products supplier who can beat us for service. 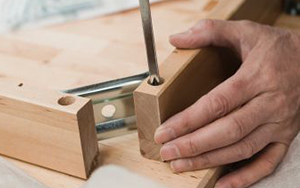 As well as the office furniture that is shown in our online store we also have a full design and installation program. We really are the complete one stop shop for all you business requirements. Our success is rooted in the high service levels we provide. From home office users to multiple branch businesses, our expert team provide our clients with a professional, personal and efficient service. I’ve saved over 15% on the price of the print cartridges compared to my previous supplier – brilliant! Really impressed with the fast turnaround and the prices. Will definitely use Complete Business Supplies again. From business cards to banners, letterheads to leaflets we can do it all. Order online for next day delivery anywhere nationwide 100% Satisfaction.